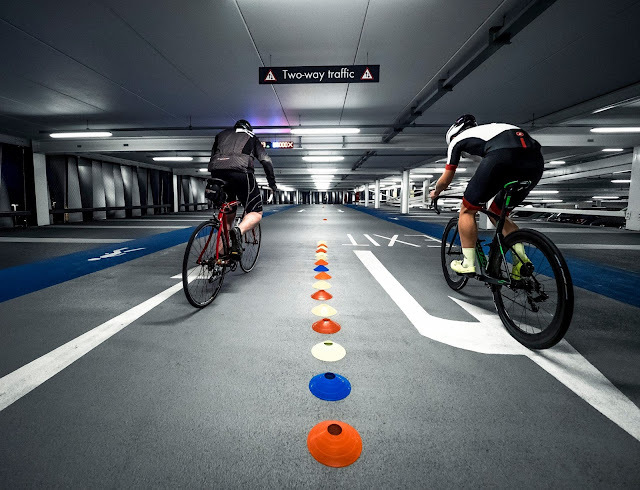 Car Park racing: Rampaging in Leeds with Paria.cc | theraceforthecafe.com . Entering a bike race in a multi-storey car park ! what on earth made me think that was a good idea ? I had a sneaking suspicion that my race wouldn't go that well and I was right, but that's not to say that I didn't have a brilliant night out in the Victoria car park Leeds. Food, drink, music, entertainment and a bike race - seriously, what's not to like ? There was a really friendly atmosphere at the RampageLeeds and I got chatting to loads of people from the Yorkshire cycling scene and definitely made some new friends. One of my reasons for entering the Rampage was to catch up with the lads from the newly formed Paria CC Race Team. 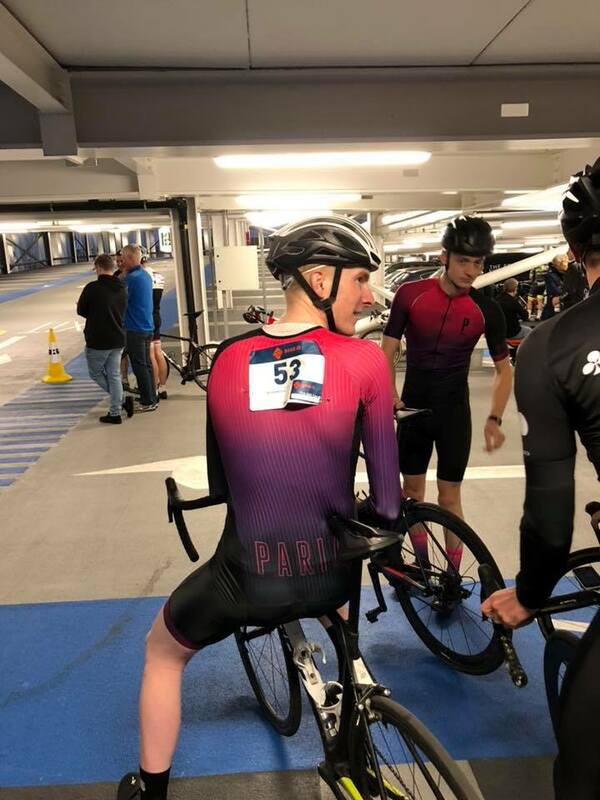 PARIA.cc are a Leeds based company who have been good enough to provide me with some excellent kit that I will be training in over the winter. I have shared some pictures of the kit on my Instagram and they are going to share the blog on their website - seems fair. 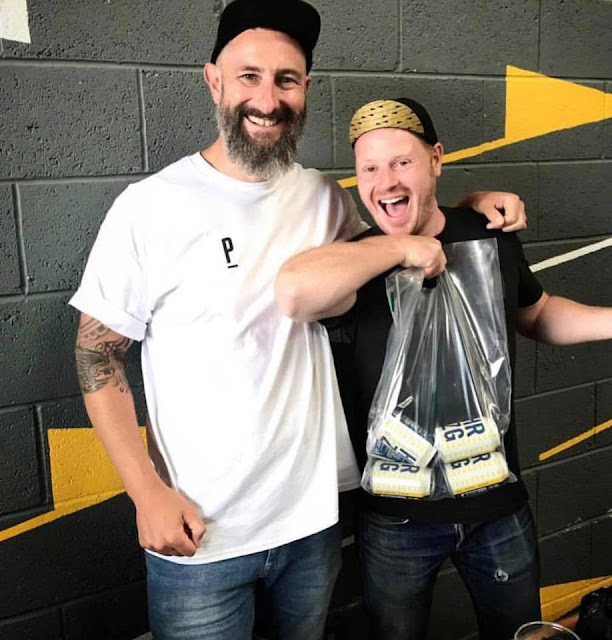 Sam Morgan is the owner of Paria and an interesting guy, a bit different, very direct, strong beard game, partial to a pint, in fact a man after my own heart, some more on Sam and what his PARIA brand is about later. 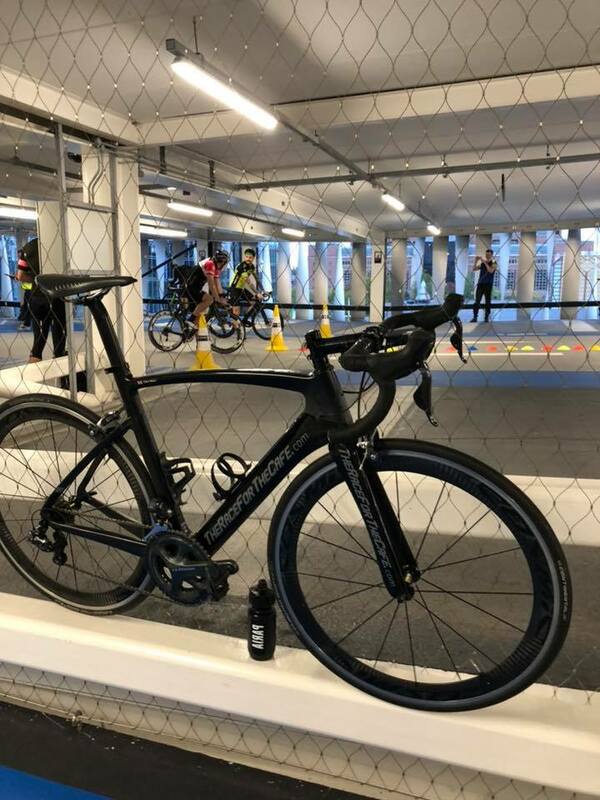 The Rampage is part hill climb, part time trial and part criterium from Level 6 to Level 11 of the Victoria car park, which is possibly the nicest multi-storey I have ever raced in. 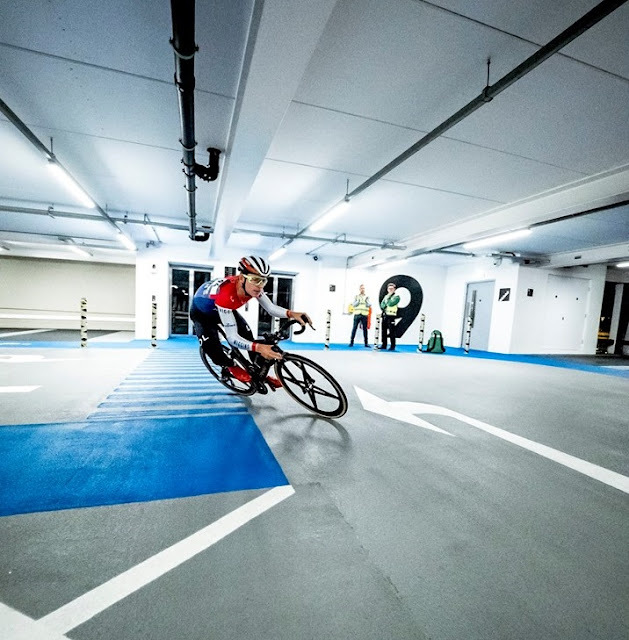 I was a bit dubious as to how suitable it would be for bike racing but it was actually ideal, a really grippy surface, corners you could pedal around with decent length straight section between them. Two riders started together and the fastest went through to the next round, simple - last man standing wins. The Rampage was organised in support of a good cause Land Aid a property industry charity working to end youth homelesness in the UK. Two way traffic in the car park and the first couple of riders are off. I usually use my own pictures on the blog but this week I am using shots from Leeds based cycling photographer Joe Cotterill whose pictures are top class and way better than anything I managed to get on my IPhone. Check out his work HERE Josef Cotterill Photography I saw Joe's pictures on Instagram @jcz_photos so I messaged him to see if it would be OK to use a couple on the blog. Joe was happy for me to use his pictures and more than that he sent me a file the next day with all the images from the night in high resolution, not only a great photographer but a nice guy - thanks again Joe. The guys from the Paria CC Race Team waiting to start, on the left Torquil Hall AKA @torqtime and Tom Harmer @tommyharmer23 on the right. The Paria team kit looked great and a bit different from a lot of team/club designs. Paria apply a design aesthetic that avoids block colours and overly prominent logos to try and bring a different fresher look to team kit. Above, another great shot from Joe Cotterill @jcz_photos, and on the far side making a fast start is Tom Harmer of Paria CC Race Team. On the subject of the Rampage start here's a little tip for you just in case you decide to enter next year, it's a really good idea to get clipped in at the first attempt, just as Tom has done in the picture above. Not like me at the third attempt as you are entering the first corner, result ... race over before it started, although trying to put a positive spin on it, I did take second in my heat fairly comfortably. After chatting to the Paria lads it was obvious that they were pretty serious about what they do and what they want to achieve with the team, but at the same time they came across as being chilled out and up for a laugh. 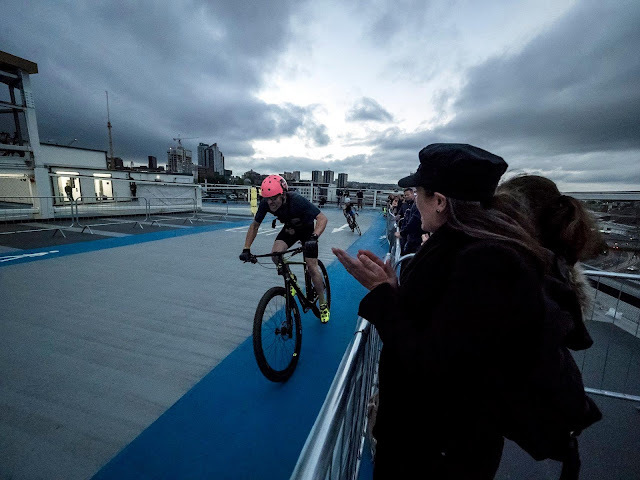 Talking of being up for a laugh, not everyone at the Rampage was taking things totally seriously and a highlight of the event was watching Dave Burns do the ride of the night on a bike that was, well, a touch small for him. Dave is a man who knows a thing our two about bikes and bike riding though, as he runs a company called I Want To Ride My Bike a cycle tuition, training and coaching business in Harrogate and a really nice fella he is too. This picture courtesy of someone else who I got to know at Rampage Paul Bulmer @the_man_of_distraction on Instagram - great picture this from Paul and it sort of sums up the event for me really. Another reason why Sam and I got on from the start and decided to help each other is that we view the social world of road cycling the same way. 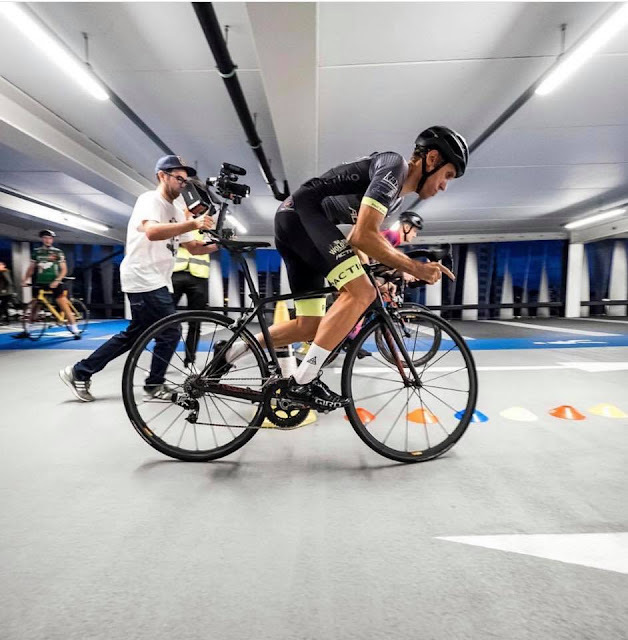 During our first conversation Sam talked about what he saw as the inherent elitism around road cycling culture, a feature of the scene that he wasn't really comfortable with and didn't feel a part of. He was referring to those unwritten rules that we all know about and seem to adhere to, from how you should wear your sunglasses, to what kit is deemed to be acceptable or unacceptable. In fact exactly the same topics that I have attempted to explain sociologically in previous posts on the blog HERE Symbolic Violence and HERE Who Has The Power ? These were issues that came up time and again when I was researching racing cyclists for my PhD and became important themes in my my thesis, so I suppose it's no wonder Sam and I get on - we see the world in much the same way. Did I say earlier that people weren't taking the Rampage too seriously ? Well seriousness levels ramped up considerably when 2017 World Junior time trial champion Tom Pidcock turned up and signed on along with brother Joe. Another of Joe Cotterills great pictures. There were bikes of all types being raced at the Rampage, full on race machines, flat bar hybrids, cyclocross and gravel bikes and one of the more unusual (and expensive) was this seven and a half grand Cannondale Ocho F-Si Hi-MOD World Cup mono fork 'leftie' being ridden by Guy Kesteven. Guy is another man who knows a thing or two about bikes and bike riding, he should do he has been testing bikes and components for cycling magazines and websites for over twenty years. Guy also has his own rough cut video channel on YouTube, check him out here GuykesTV - Rampaging to see a riders eye view of how absolutely mental Rampage car park racing is, its only 5 minutes long and definitely worth a watch. 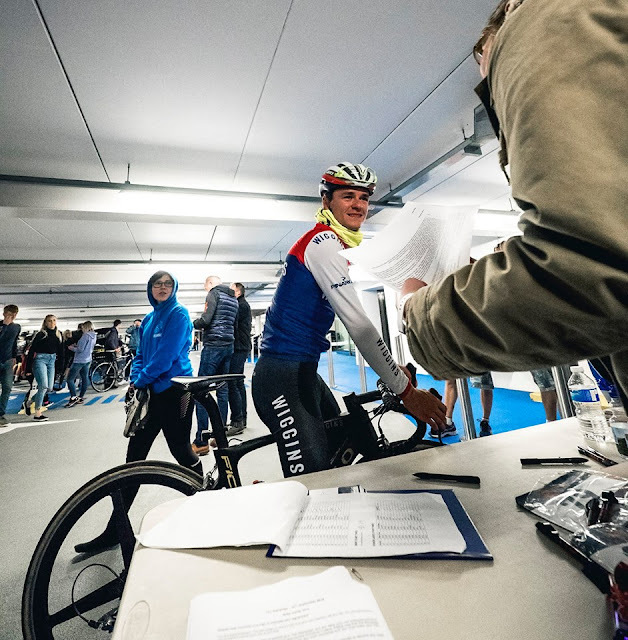 There's also a glimpse of Dave Burns furiously pedalling his 'mini bike' and my other new mate Paul Bulmer coming in a close second to Guy on his 'leftie'. 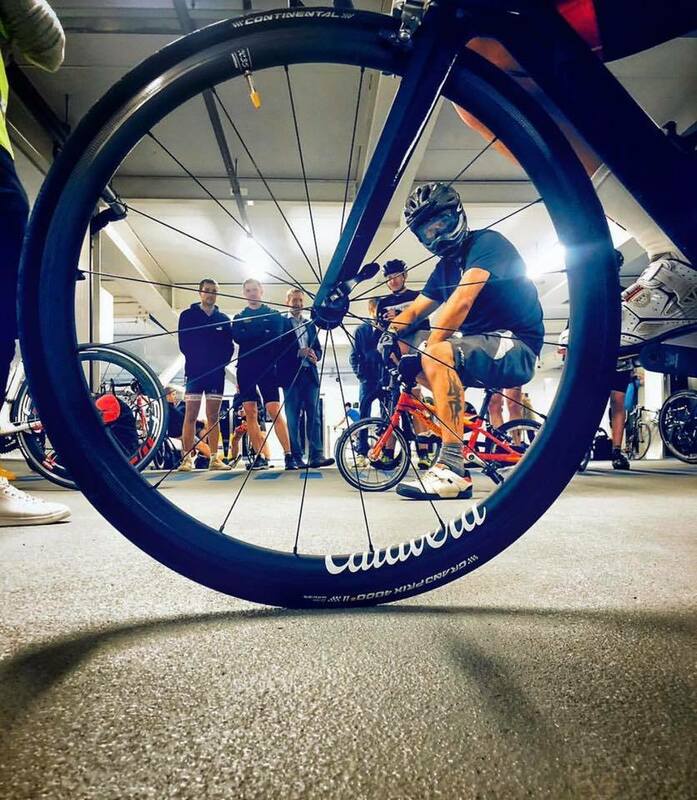 Final pic this week from Joe Cotterill of Tom Pidcock demonstrating the cornering ability that helped him take the win at the 2017 National Circuit Race Championships, but despite his skills it was equally talented, and incredibly fit sibling Joe Pidcock who took the overall senior win on the night. 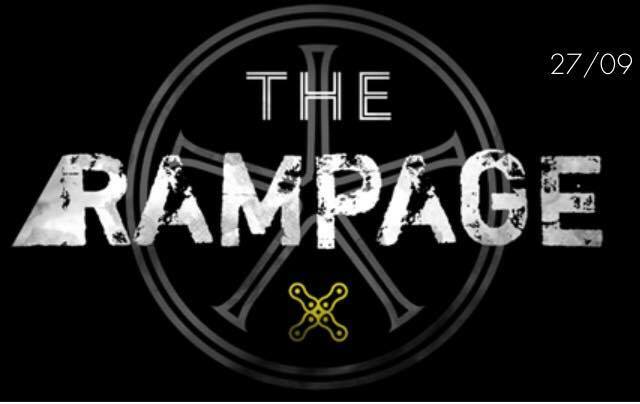 The Rampage will be back next year and I have heard that it is going to be bigger and even better. I for one will definitely be having another crack at it, obviously I will be practicing my clipping in technique over the winter ... or should I go MTB and flat pedals ? anyway I've got a year to decide. I have some really varied stuff coming up on the blog in the next few weeks so please call back, thanks for reading. Until next time, as my mate Sam would say 'pay it forward'. It's marginally costly and dull to drive yet it is a standout amongst the most agreeable cars of its class. Ecological organizations and government guidelines have made Super-cars luxury cars for sale of today have made them weak opposite there cousins from 10 years back and in the meantime have killed the very motivation behind building and driving a super vehicle.